Say goodbye to those cracked heels and scaley elbows! There is nothing more unsightly in the summer than rough dry feet or rough, dry elbows! 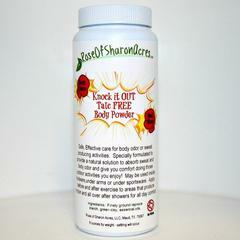 This product is a favorite of those suffering from eczema and psoriasis. 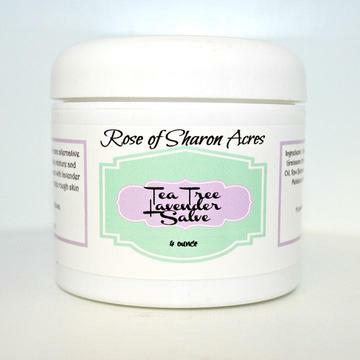 Rose of Sharon Acres offers a natural skin care alternative for discerning people. 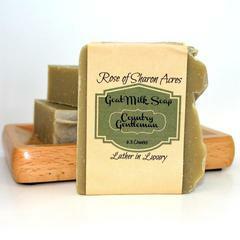 This salve is a heavy mixture and not suitable as a light moisturizer. 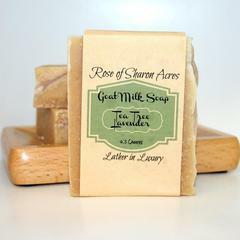 It is enhanced with lavender and tea tree essential oils to help rough skin that is dry, cracked and damaged. Ingredients: Organic Shea Butter, avocado oil, olive oil, castor oil, beeswax, lavender and tea tree essential oil. TESTIMONIAL: At the risk of putting my personal business out there, I've got to share this product with other people that suffer from eczema or psoriasis. I've tried it all, and up until now, I've had to use prescription cortisone, which is really NG for you. I have severe eczema on my arms, and besides being annoying and embarrassing, it's painful. The only other natural cure I've found is salt water and sun, but I live in New England, so for months that isn't an option. First of all, it smells amazing. Second, the smallest dose of this stuff goes a long way, so I know this is going to last, even though I'll be using it regularly. And most importantly, in less than 24 hours I've already noticed a HUGE difference! I can't believe it. You have no idea how happy I am right now. I found a cure, and bonus, I smell good. Testimonial: I served in the USAF as a Civil Engineer and I was always wearing boots, with time my feet became really dried out and cracked. I spent everyday having to put lotion on them just to "Try" to keep them from itching and cracking. If I went one day without using lotion they were back to being that way. NOW- I use the Shea Butter Salve with Lavender and Tea Tree Oil on them when I get outta the shower and its like night and day. It heals my dry skin and I can finally wear sandals something I haven't done in two years cause I was so embarrassed about my feet. I also use it right before bed...and awww im off to sleep and I get to wake up to nice feet. This is helping my husband's psoriasis which is a miracle! I'm really happy with this salve. Smells great - very subtle. Thanks so much. This stuff is absolutely amazing! My heels have been unsightly for years, but after just a few days, they began healing. I believe that with regular use and regular pedicures, they will be gone completely. Thanks Monica! LOVE this stuff and it works fast. Within a week of using this my heels were so nice! I titled this Summer Time Heels but its great ANYTIME for nice soft feet. Being a diabetic I have to be very careful with my feet. 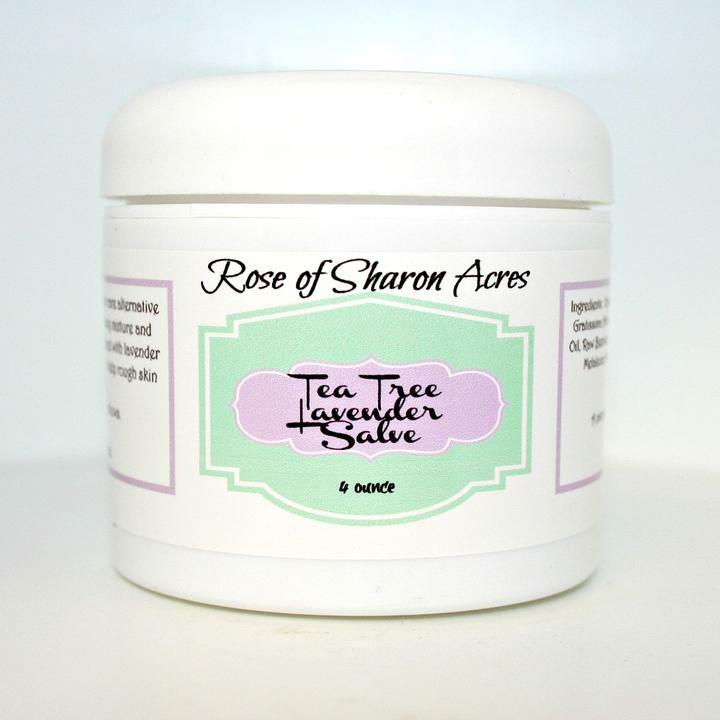 This salve helps keep my feet from getting dry and cracked which causes sores. At the first sign of my feet getting dry I put some on at night, put on socks and in the morning no more dry feet. 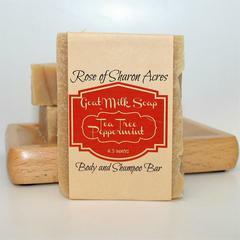 This is another one of ROSA products I keep on hand.